Lee Ann was very happy to participate in another production from The Online Stage. She plays the part of the nurse in the Greek tragedy Hippolytus by Euripides and translated by Bob Gonzalez. Euripides (c. 480-406 BCE) is the author of 18 extant plays and many more only surviving in fragments. He is the youngest of the three great Athenian tragedians with Aeschylus and Sophocles. Audio edited by Alan Weyman. Freely adapted by Bob Gonzalez from the translation by Ian Johnston. To listen to a sample and/or purchase, head to Audible here. 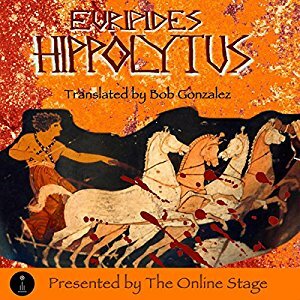 Posted by lahowlett on March 23, 2017 in Uncategorized and tagged Audible, audiobook, Bob Gonzalez, Euripides, Greek tragedy, Hippolytus, The Online Stage.